Need Help with Burglary Repairs in Bromley, Kent? Often dealing with the immediate aftermath of a burglary can be more stressful than the burglary itself. 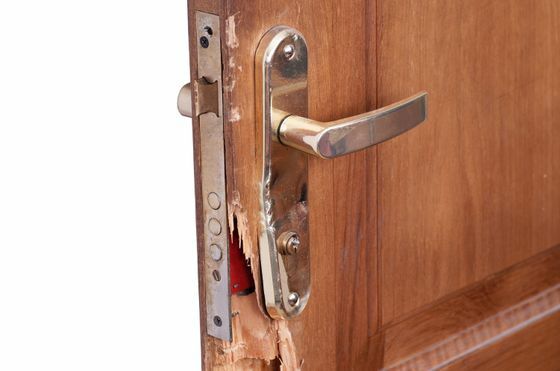 Thieves often cause thousands of pounds’ worth of damage to your property and you stand to lose something even more valuable than your possessions – your sense of security in your own home. Thankfully A & E Locksmiths in Bromley, Kent, is here to help. We provide comprehensive burglary repairs and window boards to clients in their time of need, helping you to re-secure your property when you need it most. Ensure that any windows in exterior doors, such as your front door, are at least 40 inches away from any locks and post boxes. Ensure that security locks fitted to your windows are locked whenever possible. Lock all tools, ladders, and garden maintenance equipment away from prying eyes. Have a working alarm fitted to your home that you use. Consider having the extra security of a pet dog, which is an excellent intruder alarm and deterrent. Make sure you keep your house well-lit when you are out or on holiday - fitting timers to strategic lighting points throughout your home is a common solution. Secure all your personal items of both sentimental and financial value in a security safe in your home. These safes can be fixed in a wardrobe or cupboard, and they give you that extra piece of mind in the unfortunate event of a burglary. PLEASE NOTE: Our team also provide a 24/7 emergency board-up service. This allows you to temporarily fix the problem before insurance companies arrive. Contact us today, in Bromley, Kent, for further information about our burglary repairs. These include sturdy window boards!